You know when you’ve been anticipating a read and all you hear about it are good things from people you have come to trust and you pick it up to read and you’re like why in the name of God are they really hyping this book? That’s how I feel about The Belles. It shouldn’t have been my first read of the year because now I’ll always remember how it didn’t blow me away. The characters all seem shallow to me. I get the story is all about being beautiful but like it was just a hard miss and the story didn’t pan out or fit together the way it should have, it was clunky in many areas. Camellia was an average MC to me. I hated how predictable everything was. I knew Auguste was shady from the onset, like why was he always popping up and getting away with what he did and why is he really that nice? Fake Rat. I already know he’s getting a redeeming arc, saying the evil princess Sophia set him up. And I also knew Remy would be the best guy (the only character I like apart from Edelweiss) I am calling it now, the series will progress with Remy and Camellia finding love and Auguste will cause havoc and Camellia will be as gullible as ever. Creating the unnecessary love triangle. I love love-triangles where everyone ends up being in love with each other and they become a triad. Why is the story so long? With it being so long, You would think the concept of the world and their special brand of power would be explained properly but instead, we’re given crumbs in the name of suspense. The world just seems off to me with very terrible and selfish people living in it. 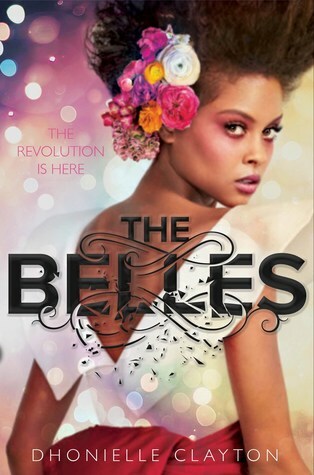 Like The Belles are powerful beings, why can’t they all band together and get rid of the oppression they are facing? The way they are treated is like they are slaves and why does their wonderful god allow them to be treated this way? They should be revered, yet they are being treated the exact opposite, like grow backbones, even if you’re flowers 🙄 that’s why I love Edelweiss. I’m reading the next book obviously, I’m already invested 😤 I can be annoyed as hell but doesn’t mean the story was completely bad and I want to see what happens next. Have you read this book already? What are your thoughts on it? It’s on your TBR? Tell me your plans for this book. I actually really enjoyed the book. I have the opposite feeling as you about the book. It can definitely happen, especially with hyped books. ur blog lay out is soooo beautiful!